Join us at Bluemont Park in Arlington, VA for a fun, fast and flat 5k along 4 Mile Run. Race #6 in our Grand Prix Series. Parking available on site at Bluemont Park. Custom Event Medals to all award winners! 19 and under, 20-29, 30-39, 40-49, 50-59, 60-69, 70 and over. **Race-Day Registration available until space sells out. Race limited to 300 participants. Packet Pickup will be held Saturday, August 4 4 p.m. to 6 p.m.
Out and back along the W&OD Trail. Fast and flat mixed use paved trail. This race will be timed by RacePacket using Jaguar RFID chip timing. 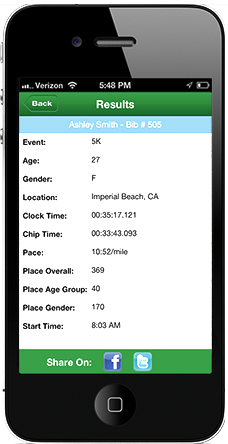 Your race number contains your timing chip and is unique to you. Please do not trade or sell your race number and affix it to the front of your outermost layer of clothing. The Summer Strides is the 6th race in the 2016 RacePacket Grand Prix. To learn more about the 2016 Grand Prix and to view current standings, visit the RacePacket Grand Prix and find out how you can race your way to a share of $3,000 in winnings. Have a local business and want to show support for our runners? Email chris@racepacket.com or call 925-354-1433 to learn more about sponsorship opportunities.